MOSCOW, Feb 11 (PRIME) -- Mail.Ru Group follows Russia’s other Internet behemoth, Yandex, in offering a personalized content feed, a lookalike of Yandex.Zen, and analysts think it could enjoy a better success thanks to its popular social networks VKontakte and Odnoklassniki. Mail.Ru Group said the project will earn on advertising. “A trend of the recent years has been recommendations in social networks, which logically resided on the social graph (that depicts personal relations of Internet users). But the social graph is not the only indicator to understand users and their interests,” Mail.Ru Group Vice President Anna Artamonova said at a presentation of service Pulse’s beta version in late January. Content personalization is a global trend in digital media. An ordinary Internet surfer usually has excessive information and insufficient time, and personalization algorithms solve this problem. Smart newswire Pulse optimizes the process of content consumption in a way that users get high-quality interesting information and from verified sources, Mail.Ru Group said. At present, Pulse can be found on the default page of Mail.Ru and on pulse.mail.ru. The company will place it on its other projects’ pages later. The feed works with content from some 1,500 sources, which are checked by an editor. Other formats, like video, photo, and user content, will be also incorporated into the system later. “We exploit the methods of collaborative filtration, which expand interests of users and show not only the pages they visit, but also what they could like judging by interests of similar users,” a Mail.Ru Group spokesperson explained to PRIME. The algorithm works on the basis of machine learning and analyzes large amounts of information, including user behavior in social networks and other websites, history of clicks on a server, popularity of sources and other factors. The system learns on its own, and the more often the user interacts with the service, the more precise recommendations will be. Pulse will earn on contextual and native advertisements, Mail.Ru Group’s spokesperson said without disclosing investments into the idea. “Our project is similar to other such services in content recommendation, but it is exclusive, first, in our company’s unique knowledge about users that nobody in the Runet (the Russian-speaking segment of the Internet) has. Second, we have unique sources of content, including user content,” the spokesperson said. Pulse resembles Yandex’s service, Yandex.Zen, a personal content feed launched in 2017, which shapes a personal newswire and uses artificial intelligence that marks texts and objects, sorts materials by topics. It traces what users read and watch. Yandex.Zen had 39.5 million users in January, according to rating system Yandex.Radar. VKontakte has a monthly audience of 97 million users and Odnoklassniki 71 million users. 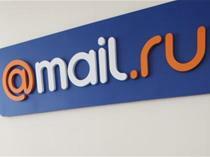 The service could give new ways to attract traffic and monetize access to audiences of Mail.Ru Group’s other projects, but success of the project will depend on its popularity among users, UralSib Capital said in a research note. “The company shows a quick rise of revenue, but active investment in new businesses undermine the margin, which may disappoint the market and make the share price, which implies quite high revenue growth, vulnerable,” the investment company, which recommends selling the stock, said. Mail.Ru Group’s global depositary receipts rose 13.7% since the beginning of the year to U.S. $24.82 on February 7 in London.